Features unique artwork by SHA_DO. 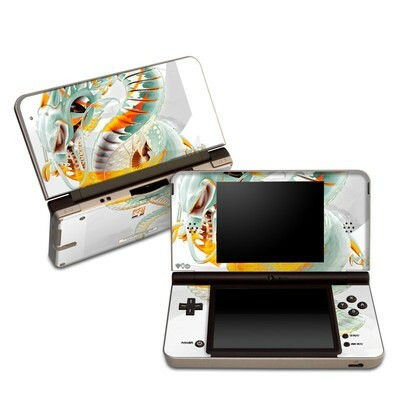 Remember, we offer over 1000 pieces of art as skins for your Nintendo DSi XL. I bought this as a gift for my mom's DSi XL. She absolutely loved it and it's so easy to put on. This skin is a perfect fit! I especially love that the holes for the speakers are cut out; although it was tedious to remove them, even with tweezers, the final result is well worth it!! Purchased Treasure Hunt for my blue DSi XL. Beautiful art placement and the result is gorgeous. I will be purchasing more skins for my other devices! I gave my niece my old DSi XL that she admired so much. And to make it extra special I put the Dragonling decal on it. She loved it.